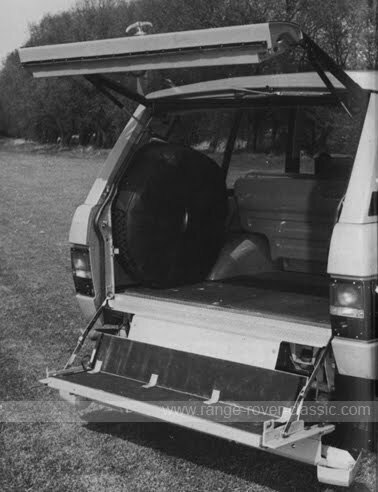 The company Spencer Abbott Ltd had cooperated over many years in conjuction with Land-Rover and their Special Projects Department, and had a long experience in conversion building. 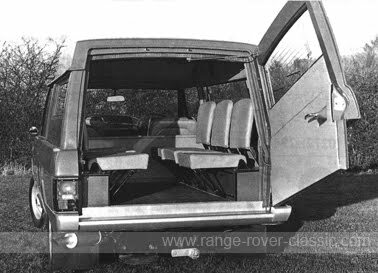 A solution of a 110 inches, stretched wheelbase with the characteristic window and roof arrangements, so typical to the Spencer Abbott version. An ambulance prototype YXC999K where developed and taken to a medical exhibition in Switzerland in 1971. 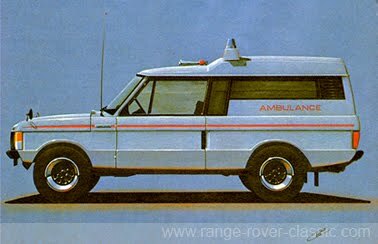 The Range Rover Spencer Abbott ambulance stayed in the Land-Rover's conversion catalogue for several years, but where never popular. 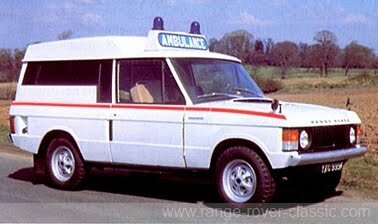 Not many Range Rover Spencer Abbott ambulances where built. 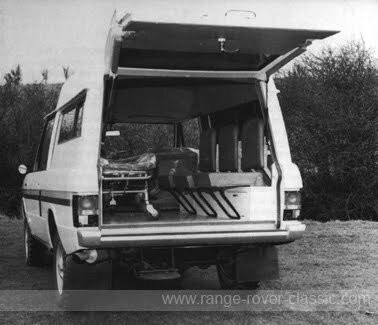 Even though the ambulances where never popular, the production of the extension conversions of the 10 extra inches or more, and the reinforcing of the Range Rover frame ready for other conversion companies, was given to Spencer Abbott, so they performed well. by the Special Intervention Squadron in the 70's. 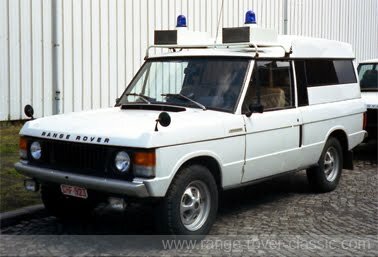 The Belgian Gendarmerie used numerous Range Rover mainly as Highway Patrol cars and as ambulances (Wadham-Stringer and Lomas conversions). 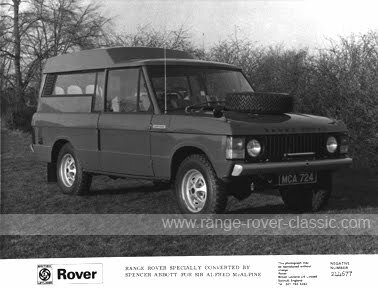 The fate of this Spencer Abbott converted Range Rover is unknown. Thanks to the Belgian Police Historical Service - Brussels for allowing to used this historic picture of the Spencer Abbott Range Rover conversion used by the Belgian Gendarmerie. Pressurised type - 15 psi (1.05 kg.cm2) with pump, fan, thermostat and pressurised expansion tank. Clutch is of the diaphragm spring, single dry plate type - 10.5 in (26.7 cm) diameter. all forward gears. The transfer gearbox is of the two speed reduction type in the main gearbox output. Lockheed disc brakes are fitted front and rear and are servo-assisted for easy pedal operation. Pressed-steel 'Rostyle' enamelled wheels, five stud fixing - size 6.00 JK x 16.
aft adjustment. Passenger seat is fixed in forward position.